measured our boat, ensuring the trailer would be a perfect fit. Alex and Loraine guided us through the build process and answered all of our questions. We decided on different accessories like the V-bow, sliding tongue, and side guides and as Alex promised, the trailer exceeded our expectations. Assembling the trailer was fairly seamless and self-explanatory. The adjustability of the bunks allowed for us to use the ABTrailers when we purchased a different boat. 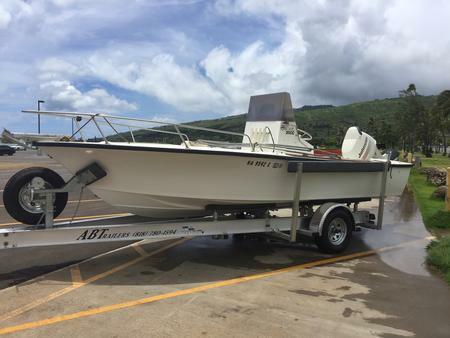 The ABTrailers experience was a positive one and we recommend them to boaters from Hawaii and beyond.